Jumping Bail Can Land You In More Hot Water Than Your Original Charge. After you have been processed, bail is a fantastic way to get out of jail. When you are out on bail, you can prepare yourself, your loved ones, and your defense for your court date. During this time, however, jumping bail can occur. While you may not be one of the individuals who consider it, it is important to know that jumping bail can seriously hinder your case. Not only does it reflect poorly on you, it can lead to many other issues down the line. When you miss your court date, the judge can then issue a warrant to have you arrested and brought before the court. However, if you are arrested on a warrant during this situation, it is unlikely that you will be able to get out on bail again. This means you will have to wait in jail until your court dates. To get bail, you or a loved one probably paid a deposit with your bondsman. This deposit can be up to ten percent of the amount set for your bail and can get you out from behind bars. However, when you jump bail, that ten percent you paid is forfeit and now you, or your loved one, are responsible for the full amount. Did you know in some states, jumping bail is actually a crime in and of itself? This means that in these areas, you may find yourself facing additional charges and fines on top of your original charge. Texas is, in fact, one of the states that consider jumping bail a crime. 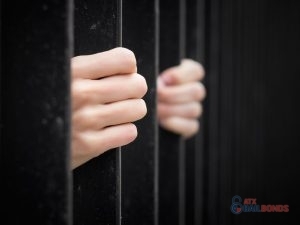 At ATX Bail Bonds, we work with you for your bail bonds service needs. Ready to get started on bail in Austin, TX? Give us a call today at 512-834-2245!